SOME 68% OF Irish motorists believe that those found guilty of drink-driving offences should have their names published on a live register. That’s according to an AA Membership and Motor Insurance survey of over 11,000 motorists. 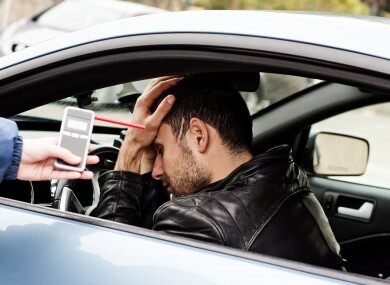 It also found that while almost half of drivers (48%) said such a move wouldn’t affect their driving behaviour, one in five (19%) said the risk of being ‘named and shamed’ would have a major effect on their driving. Drinking and driving is a reckless, shameful behaviour that should be part of Ireland’s past and not our future. Some 45% of drivers said they “strongly supported” the proposal, with a further 23% being “somewhat” supportive. Among the main reasons for supporting the idea was the belief that the risk of being ‘named and shamed’ would further discourage people from driving while over the legal limit. While increased efforts have been made in recent years to highlight the risks of drink-driving, the AA survey suggests that some drivers may still be taking the risk of driving while over the limit. Email “Almost 7 out of 10 motorists want drink drivers named on live register ”. Feedback on “Almost 7 out of 10 motorists want drink drivers named on live register ”.